Prof. Dr. Azian Abd. Aziz started her career upon graduating with a medical degree in 1992 and went on to pursue specialty training in radiology, completing Master of Medicine (Radiology) in 1999. After a brief stint as a clinical Radiologist with the Ministry of Health, she opted to become an academician and joined the Kulliyyah of Medicine, IIUM as the pioneer staff and the Head of the Department of Radiology in 2000. Having a special interest in Paediatric Radiology, she completed a Fellowship at the Royal Childrena? ?s Hospital, Melbourne, Australia in 2005 and did a short attachment in Pa ... show more ediatric Neuroradiology at The Hospital for Sick Children, Toronto, Canada in 2010. She has since focused on giving services, consultation and doing research related to Pediatric Imaging-based at the Hospital Tengku Ampuan Afzan (HTAA), Kuantan, Pahang which is also the teaching hospital for IIUM. Prof. Dr. Azian is an active member of the College of Radiology, Malaysia and the Asia Oceanic Society of Pediatric Radiology (AOSPR). She has written many published articles in various local and international journals and presented papers at local and international conferences particularly related to Paediatric Radiology. 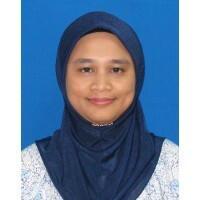 She received the Best Teacher Award during IIUM Quality Day in 2006 and won awards for best free paper presentation during AOSPR Congress 2007 in Bandung and AOSPR Congress 2011 in Bali, Indonesia. She was nominated by Kulliyyah of Medicine for a? ?The Outstanding Researcher Awarda?? during IIUM Quality Day 2011. The most senior academician in the Department of Radiology, Kulliyyah of Medicine. She is presently working as a Professor. 2009 - 2011 Accidental and Non-Accidental Head Injury in Children. Is there a Tomography (CT) Presentation? 10 November 2011 3rd Prize Best Poster Award - An Unusual Cause of Acute Upper Gastrointestinal Obstruction in a Child. A Case Report.. 11th Congress of Asian & Oceanic Society for Paediatric Radiology (AOSPR) - International level. 06 January 2011 Nomination for Outstanding Researcher Award 2010, KoM. Kulliyyah of Medicine - University level. 19 November 2009 1st Prize for Best Poster Presentation [Magnetic Resonance Imaging (MRI) of Soft Tissue Haemangiomas & Vascular Malformations of Children & Adolescents: A Pictorial Review of Cases in HTAA] Co-author. College of Radiology of Malaysia - National level. 08 November 2007 1st prize for Poster Presentation at the 7th Asia Oceanic Society of Pediatric Radiology (AOSPR) Congress. [Role of Magnetic Resonance Urography (MRU) in Children with dilated urinary tracts] . Asia Oceanic Society of Pediatric Radiology (AOSPR) - International level. 17 February 2006 Quality Award. International Islamic University Malaysia [Best Teacher Award] - University level. 01 December 2002 Grant for the Introduction to Research For Young Academic Seminar, Chicago, USA. Radiology Society of North America (RSNA) - International level. 02 June 2001 BRACCO's Grant Recipient. BRACCO - International level. 2016 Pediatric radiography: how to prepare a child for an imaging procedure. In: Best Work Practices & Radiation Safety in Imaging Procedures: What Changes Can We Make? 2013 High anorectal malformation with associated rectovaginal fistula and uterine didelphys. A known but rare association!. In: 16th Congress of the ASEAN Association of Radiology (AAR). “Radiology in the 21st Century: from Basic to Advance”. 2009 Radiological work up in Pediatric Airway Diseases. In: Kuantan Paediatric Airway Workshop.